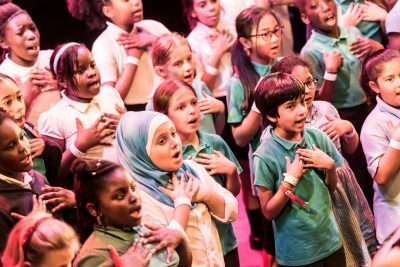 Newham Music > News > September 2015 > Festival 2018 – Huge Success! Festival 2018 – Huge Success! Thanks to all who joined us over the past 10 days, bringing an incredible Festival of Youth 2018 to life! All of the students, parents, teachers, musicians, and audiences were superb, creating a truly inspiring atmosphere throughout the entire Festival. We laughed, cried, we sang, we danced – and most of all we had a lot of fun doing it! After a week of excitement, the entire Newham Music team is already looking forward to Festival of Youth 2019 – but first, a nap!